For Her Freedom is a faith-based blog with the goal of being organic and transparent in all we post and do. Everything we do is for God to be glorified above the ways of the earth and for hope to be widely spread in regard to abolishing sexual exploitation. We hope to grow awareness for and deepen knowledge of the trafficking industry in order to produce a demand for change that cannot be ignored. 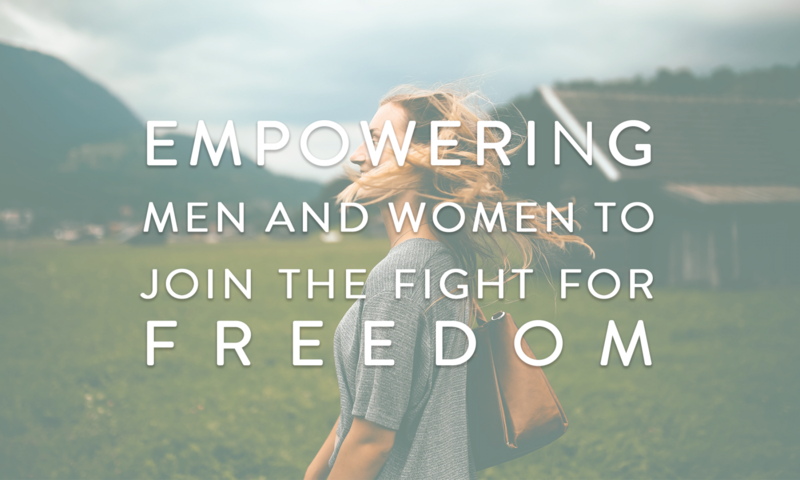 Through hope and truth, we desire to educate men and women to empower and equip them to fight for her freedom. Thanks for checking out our page! We are so excited to begin this journey of blogging to raise awareness for human trafficking and fight sexual exploitation! Thank you for sharing Abby. I will be praying for you as you hear and watch where God is leading you. Thank you for reading! Your prayers are definitely appreciated!